Track and Manage Your Operations. 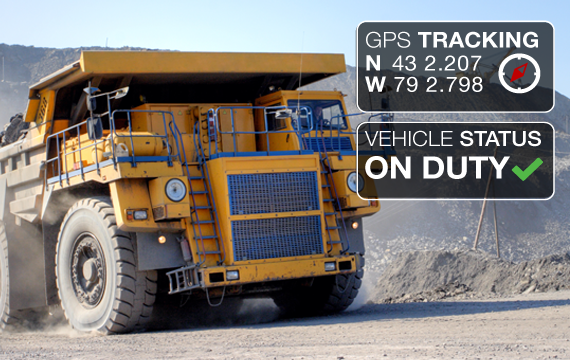 GPS allow you to track and protect your most valued assets, people, equipment etc. You can improve how you route, communicate with, track and manage your operations. Telequip has professional staff to help you select the GPS system that will best suite’s your business needs. Always be on your way to where you want to be. TELUS Navigator provides you with audible and visual turn-by-turn directions directly from your handset. Reduce fuel costs and optimize fleet maintenance. Know if your vehicles are speeding or idling unnecessarily. 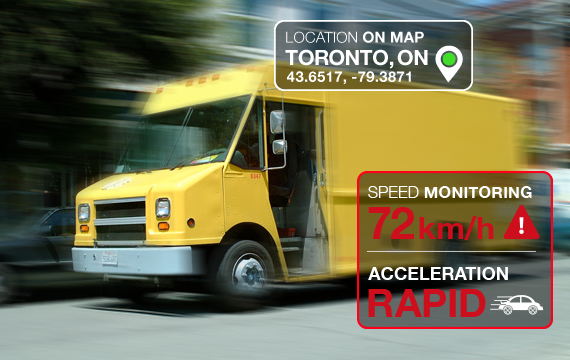 Track the real-time location, speed, and direction of travel of your fleet with TELUS Fleet Tracker. Manage your workers more efficiently. Track the real-time location of your mobile workforce, while monitoring their vehicle stop times and travel distance with TELUS Resource Tracker. Improve customer service and scheduling. Locate your mobile workers in real-time, dispatch job details to the closest worker, and receive job status updates with TELUS Track and Dispatch. The Geotab GO7 device is even more advanced than you imagined. Out of the box and into your business, you will have peace of mind knowing that your telematics investment will continue to add value over the long run. Designed and manufactured by Geotab, the GO7 includes a cellular modem, highly sensitive GPS and accelerometer. With internal antennas for both GPS and cellular connectivity, Geotab has engineered a truly robust solution. The firmware, also designed and written by Geotab, puts it all together to provide the overall end-to-end solution. Manage Your Entire Fleet From One Platform MyGeotab is a web-based fleet management software. See all your vehicle and driver information in one place and use it to make quicker, better-informed decisions for your business.